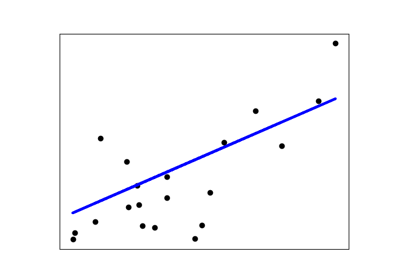 R^2 (coefficient of determination) regression score function. Best possible score is 1.0 and it can be negative (because the model can be arbitrarily worse). 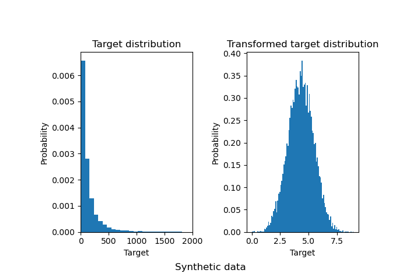 A constant model that always predicts the expected value of y, disregarding the input features, would get a R^2 score of 0.0. Defines aggregating of multiple output scores. Array-like value defines weights used to average scores. Default is “uniform_average”. Returns a full set of scores in case of multioutput input. Scores of all outputs are averaged with uniform weight. 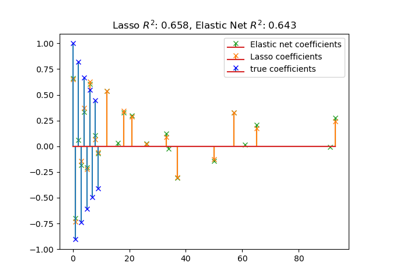 Scores of all outputs are averaged, weighted by the variances of each individual output. Changed in version 0.19: Default value of multioutput is ‘uniform_average’. The R^2 score or ndarray of scores if ‘multioutput’ is ‘raw_values’. This is not a symmetric function. Unlike most other scores, R^2 score may be negative (it need not actually be the square of a quantity R). This metric is not well-defined for single samples and will return a NaN value if n_samples is less than two.